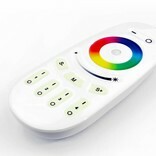 With this Wifi kit you can transform any space to a pleasant colorful atmosphere with ease. 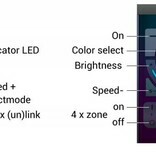 The smart App on your tablet or smartphone allows you to operate all bulbs through wifi in 4 different zones: switch on/off, brightness and choose any color from the Full Color RGBW spectrum. 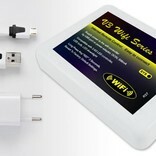 All the above displayed extra options are compatible with this Starter Kit. 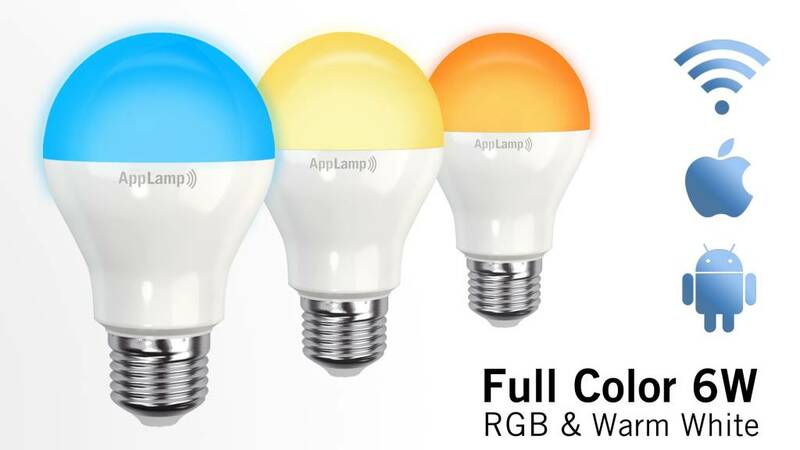 In addition to the included Full Color RGBW lamp, you can also control the Dual White LED bulbs, Warm White LED strips and our trendy RGB(W) color LED strips, all in 4 zones. For more info on these options, roll over the green info icon (i) more. 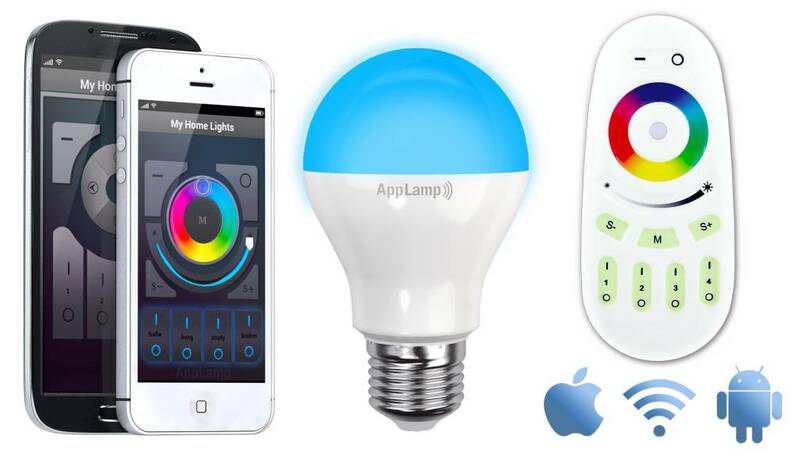 The kit includes: 1 Full Color AppLamp bulb, the Wifi Box and the free App available for Android and iOS phones and tablets. 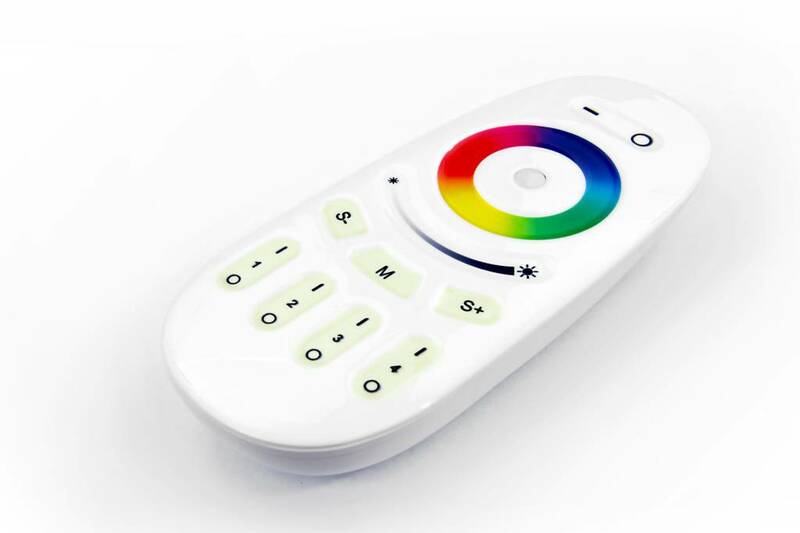 In addition, you will receive a 2.4 G Color Touch 4-Channel remote to control the color bulbs and optional color LED strips. 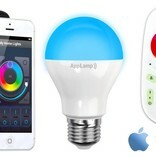 So even without the Wifi APP, you have direct access to the lights. 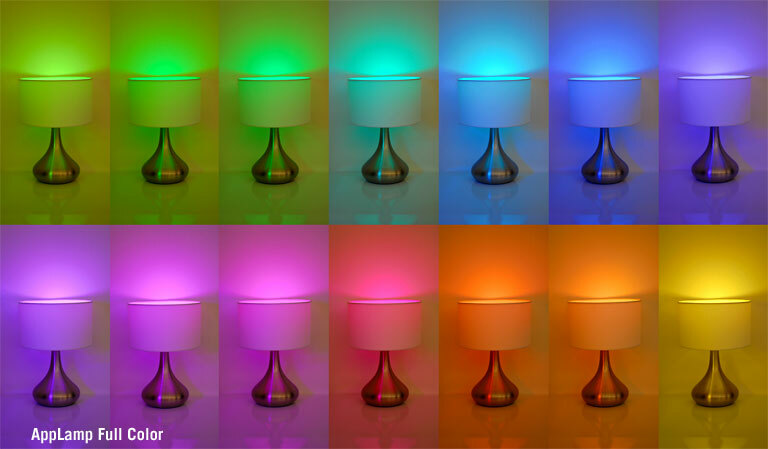 The energy-saving LED bulb consumes at max 7.5 Watt but emits the light of a normal 40 Watt bulb. 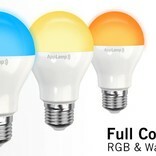 You save 80% energy and the LED lights have a life expectancy of 50,000 hours! 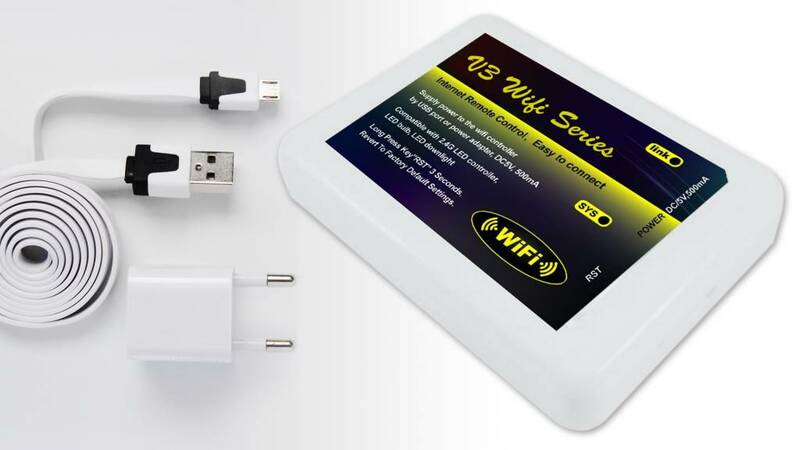 Order multiple Wifi bulbs or Wifi LED strips and get up to 10% discount.